December is that time of the year when you either collapse from this year’s work and give into the holiday cheer, or give it one last push before the fresh new start. If you’re the latter, we recommend you continue reading because we will be sharing some of this week’s most interesting articles we came across. You know that type of a person who always says “I’ll start on Monday, next week, next month, next year” and they never really do? Well, in reality, a lot of people have this type of a behavior, and we need to stop waiting for some sort of beginning to start something. So let’s start now. Even though it’s the end of the year. The times when people looked at your resume for more than 6 seconds are over – you need to step up your game if you want to get a dream sales job opportunity. First of all, reevaluate your position and your expectations. Take one step back and understand what is your ideal sales role, how does it align with your beliefs, your vision, and your goals. You might end up realizing that you’re already at your ideal workplace and you just need to change some things – whether it be in the workplace itself or your perspective. On the other hand, you will be able to define what it is that you want and you might be able to pinpoint exactly what companies can provide for your needs. Recruiters and HRs are using social media for a bigger purpose than just to connect, it has become a place where the hiring can begin – and you should take advantage of it. Guide your social media content so it fits the vision you have of yourself. You should also use social media for its intended purpose – to make connections with the companies which attention you’d like to receive. Ok now, back to basics – what about resumes, applications, and interviews? Most people don’t know how to leverage them, so make sure to one-up yourself in every way. And follow up! Do not wait for the opportunity to knock on your door. In this day and age, it’s important to find the balance between the modern technologies and old school techniques because it’s what brings the results. Artificial Intelligence is changing the way digital sales will work in the future, and Sales for Life is sharing with us how that can be possible even now. The future has also come close to a form of a virtual sales assistant. Virtual Sales Assistant is a remote contractor that you can hire for outsourcing a specific task or tasks, which ultimately helps with your sales process. There are many different ways to hire a virtual sales assistant, Upwork being just one of them. This will allow you to build an army of virtual sales assistants, who are by nature more economical so it will not be too big of a strain on your budget. Once you have a good number of VAs, you will need to coordinate them accordingly: identify the leader, require consistent hours, and give feedback more regularly than you would otherwise. For a salesperson, at the end of the day, the most important thing is to sell. Hence the name. But how about instead of doing the old-fashioned closing, you ask your prospects about their next step? You’re all too familiar with the old ABC concept, Always Be Closing, but in today’s world this doesn’t seem to work anymore. Instead of “popping the question” creating more small questions that create a bridge between you and the prospect, creating a stronger bond and stronger commitment is much more effective. What you need is a Next Step way of thinking. As a salesperson, closing should be on your mind, but not as a forerunner. Continuing in the same tone, there are other ways in which you can ask someone if they want to buy without asking them directly. HubSpot is sharing some templates that will help you to effortlessly ask that at the end of the month. But, what do you do in a situation when you’ve tried everything but the prospect still doesn’t buy? Or, they leave you hanging? Or they actually hang up? Don’t fret it. Don’t jump to conclusions, and certainly don’t waste your precious time overthinking it. Just ask yourself whether the result would be different if you haven’t called. Probably not and you can’t know what was the real reason behind the hanging up. Maybe the prospect was frustrated by your pitch, maybe they are afraid to say no or maybe it’s just their clumsy way of negotiating. Whatever the reason, you can just call that same person again and finish the conversation normally or just call the next contact on your list, because this is not the last time something like that will happen. Email Outreach shows no signs of slowing down, and that is why it deserves a spot in our weekly sales article. Many experts believe that email’s days are over, but it can actually be a powerful tool if utilized correctly. The first and possibly the most important point to make is – you have to ensure your campaign isn’t too spammy – nobody likes to be on the receiving end of the generic cold email. If you personalize it, it can take you a long way. Create a perfect subject line – most people decide whether they even will open the email based on the subject line. Optimize your open rate, Premium services like Reply.io, Buzzstream and Outreach.io offer the opportunity to personalize automatic outreach emails, and they also provide many stats to monitor your campaigns. Great thing to do is figuring out your target group and finding the best recipient, the best way of having your message read by those who matter is to find the details of the content producers themselves. 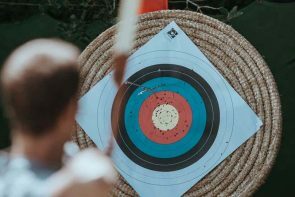 It’s good to learn from mistakes and HubSpot is sharing with us how CTA can secretly sabotage our sales email. And not to confuse you, CTA is really important, but just like the dessert, you shouldn’t have it every time you want it – there is a time and place for asking the right question. And if you’re one of that 1 % of people who don’t use templates, ContactMonkey is sharing 5 compelling reasons why you should be using email templates for sales. And before you go – have a read about 5 lessons from 150 startup pitches, and see what you could learn from their mistakes. So it’s a wrap up, and it is also a wrap up of our Week in Sales. From now on we’d like to focus more of our time on more specific articles based on our own experience. We like to change things up once in awhile! If so, feel free to contact us anytime! In this week’s sales articles highlights, we’ve focused on sales communications. Learn how you can use sales emails to even get hired, how to build relationships in and because of sales, as well as how to use video to communicate in sales processes.